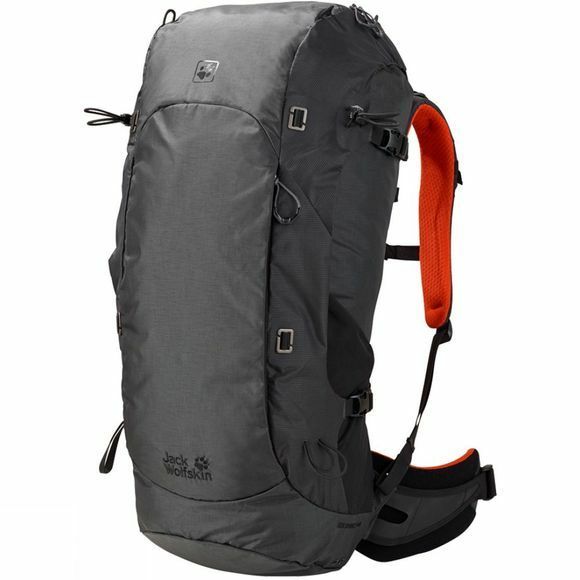 The compact EDS Dynamic Pro 48 Rucksack for tours lasting several days boasts an innovative, ergonomic suspension system which adapts to your movements. The second key feature is the vertically divided main compartment with a waterproof inner section. The main compartment is divided into three sections: The inside section is accessible from above via a roll-top closure. The surrounding outer area can be accessed using a zip. The front section features another easy-to-access section for anything you need to access quickly and frequently or things that shouldn't be stored in the interior, perhaps because they're damp.